Such a unique ,humorous, well written book. 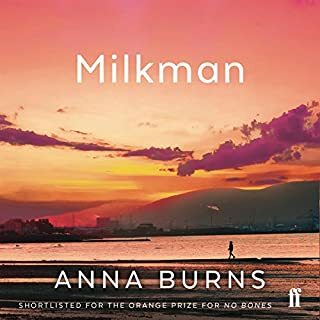 Anna Burns has build on her previous novels' subject of The Troubles to create this masterpiece. Brid Brennan's Irish lilt and delivery suits the book's pace and narrator. When the four of them become trapped in an elevator escape room, things start to go horribly wrong. They have to put aside their fierce office rivalries and work together to solve the clues that will release them. But in the confines of the elevator the dark secrets of their team are laid bare. They are made to answer for profiting from a workplace where deception, intimidation and sexual harassment thrive. 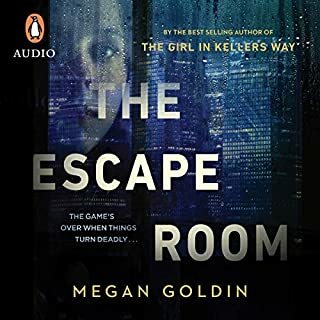 Tempers fray, and the escape room's clues turn more and more ominous, leaving the four of them dangling on the precipice of disaster. If they want to survive, they'll have to solve one final puzzle: which one of them is a killer? Good structure and inventive storyline let down by trite narrative. Hope it gets the movie deal it is so obviously aimed at. Also someone needs to teach Anthea Greco how to pronounce the hard words ; very poor reading effort.